Mahalia Cassidy copped a head knock. The Queensland Firebirds are confident their injury-hit squad will be fit and firing in time for Round 1 of the Suncorp Super Netball season despite two more additions to the casualty ward in pre-season matches over the weekend. Centre Mahalia Cassidy suffered a concussion after copping a late knock in the dying stages of the 73-58 win over GWS at the Queensland State Netball Centre on Saturday night. 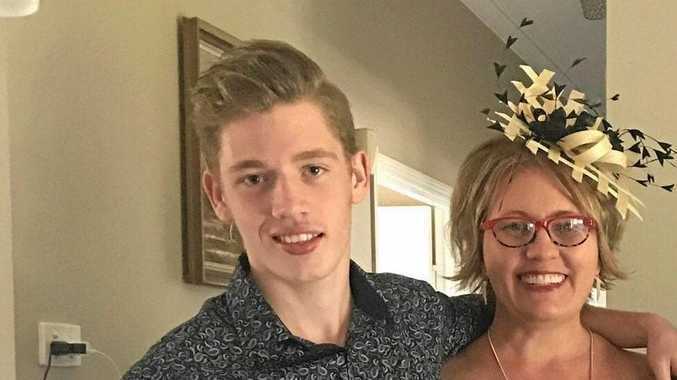 She played out the game but started to feel concussion symptoms after full-time and was kept out of the behind-closed-doors scratch match against the Giants on Sunday. 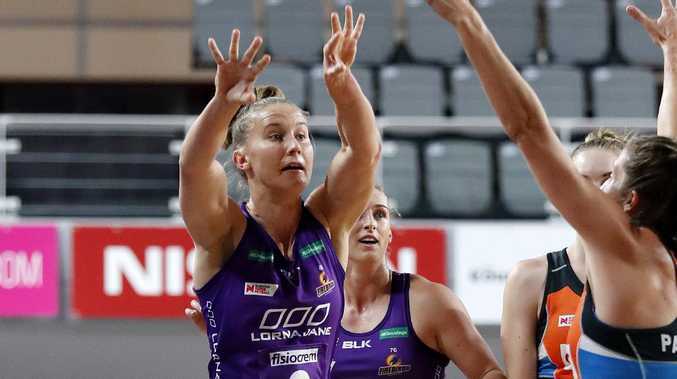 The Firebirds scored a 37-33 win over the Giants in the 10-minute quarter outing but it came at a cost as Queensland lost defender Laura Clemesha who rolled her ankle after landing on the foot of GWS shooter Jo Harten. Cassidy is going through the Firebirds' concussion protocol while Clemesha's ankle will be assessed again on Monday but early indications are that the ankle roll was not too severe. Cassidy and Clemesha's woes follow a run of injuries to midcourters Caitlyn Nevins and Jemma Mi Mi along with defender Kim Jenner, meaning half of the Firebirds' first-choice squad of 10 have had some sort of injury issue in the pre-season. Jenner took no part in the weekend's matches while Nevins and Mi Mi continued their encouraging comebacks with solid court time against the Giants. Romelda Aiken in action during the 73-58 pre-season win over the Giants on Saturday night. The Firebirds will take on the Melbourne Vixens in the 2019 Suncorp Super Netball season-opener on April 27 at Melbourne Arena and Netball Queensland high performance boss Richard McInnes said the squad should be over their ailments by the first centre pass. "Everyone should be right to go for Round 1,'' McInnes said. He said there was a silver lining to the injury cloud. "We have been able to build that depth across the squad with all of the girls in the squad as well as some of our training partners getting some good game time across the pre-season,'' McInnes said. 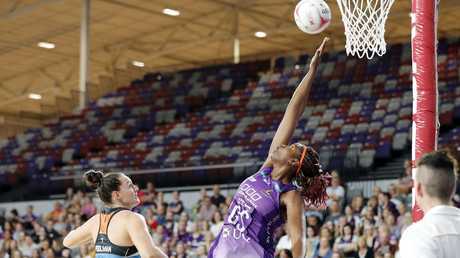 After losing five of their first seven pre-season games, the Firebirds grabbed some much needed momentum and confidence from the two wins over the Giants. Queensland was particularly impressive in the first three quarters against the Giants on Saturday night when they were slick in attack and stingy in defence.